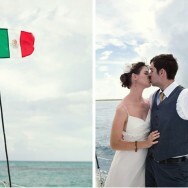 Since today is a holiday, we figured a destination wedding would be the perfect way to celebrate. 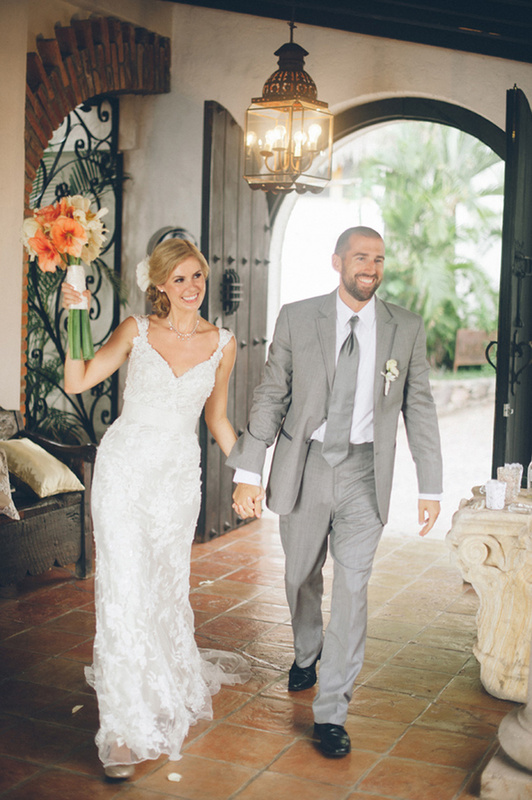 We’re so excited to share Elizabeth and Matt’s wedding designed by the fabulous Mishka Designs at Casa Quetzal and shot by Jillian Mitchell Photography. 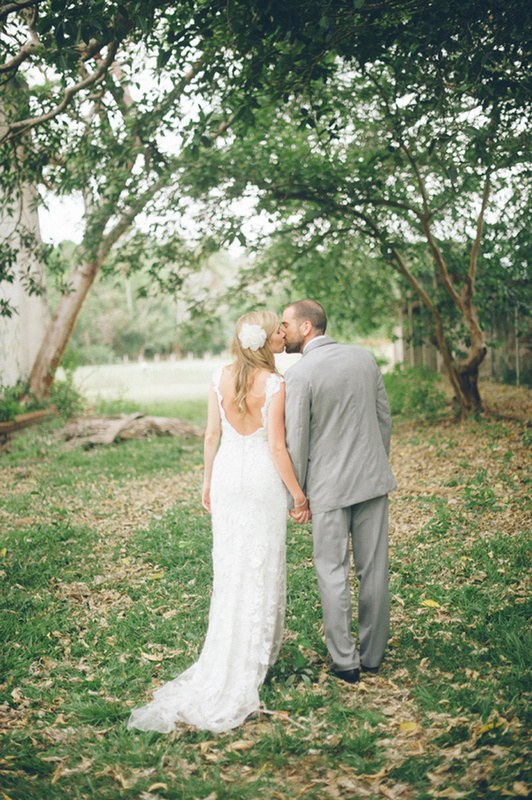 Elizabeth and Matt’s reason for wanting a destination wedding was the same reason Bryan and I chose one as well–after attending a destination wedding and loving the experience so much, we decided we wanted the same for our guests! 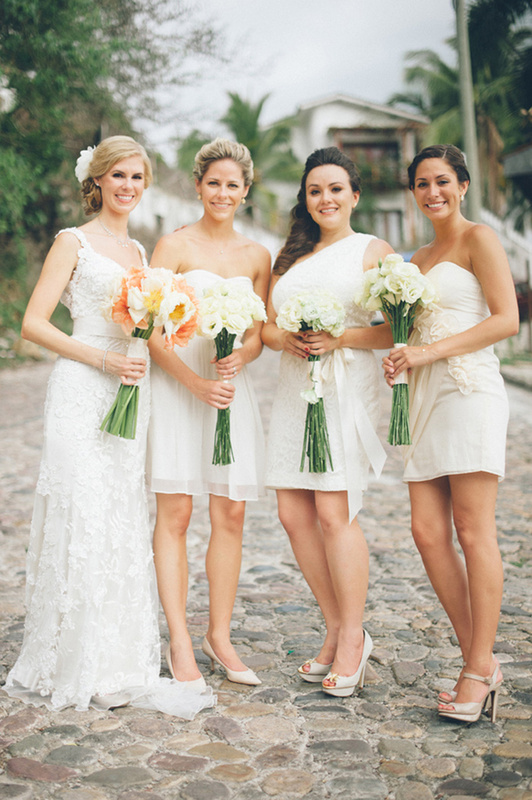 We’ll let our gorgeous bride tell you a little more! 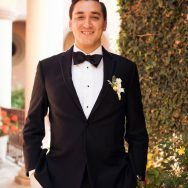 “After being a guest at my cousin’s destination wedding, I was absolutely in love with the idea of traveling with all our favorite people to get married. It was so special, intimate and so much fun! 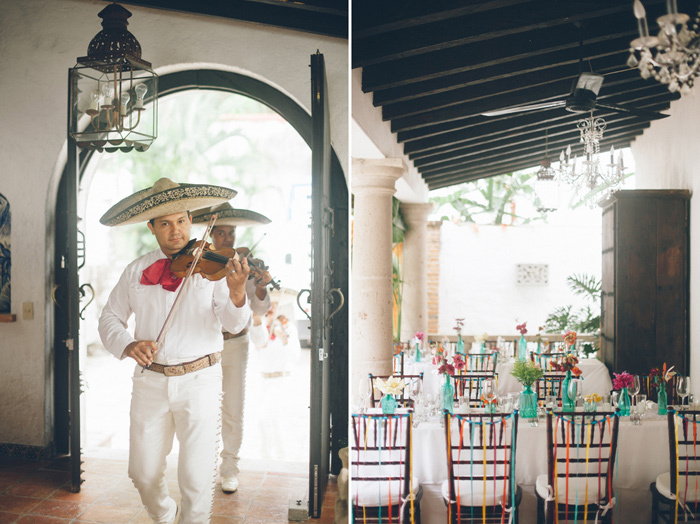 We liked Mexico from the beginning as we love so many elements of the Latin culture. 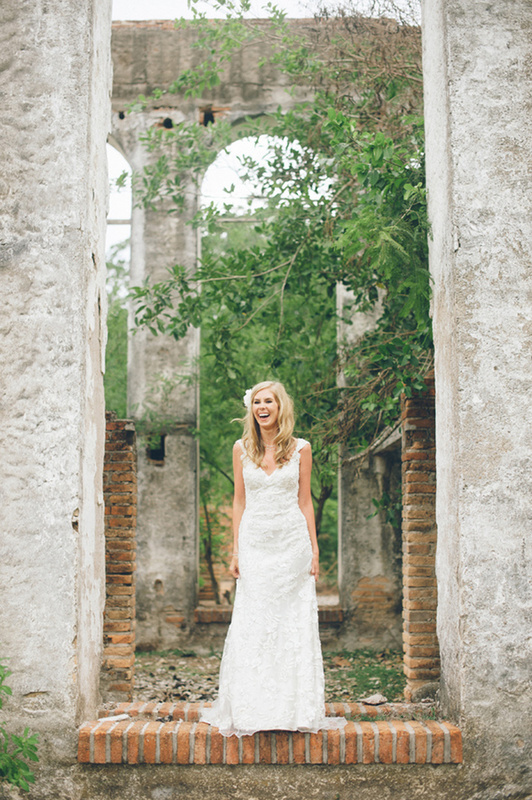 Deciding where in Mexico was more difficult, we wanted to get married somewhere that had an old world, hacienda feel to it. 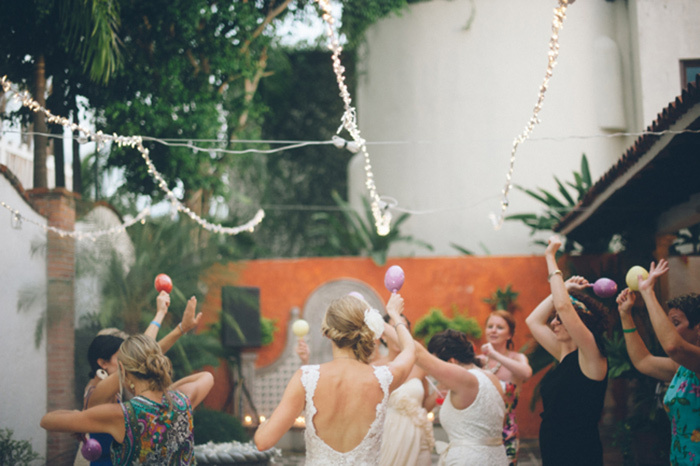 I happened upon Mishka Designs, my wedding planner, and I absolutely loved all of her weddings so I decided Puerto Vallarta would be the perfect place!! With Mishka’s help, we found the eventual wedding venue, Casa Quetzal, a beautiful villa over looking the Pacific Ocean. Oh my gosh! 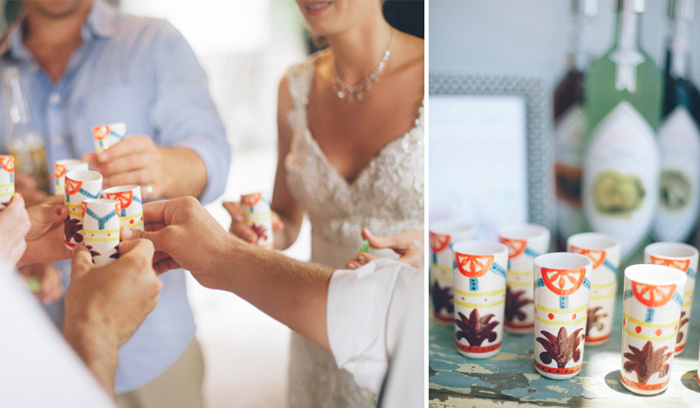 What a beautiful and colourful wedding! I love those flowers! Are they from the Hibiscus family? 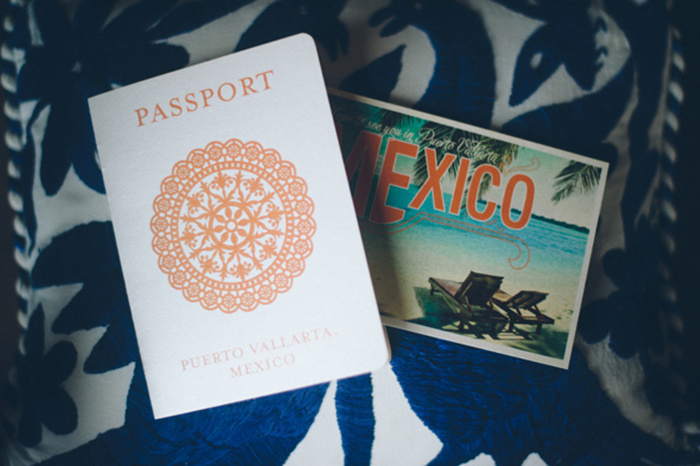 Destination weddings are so cool, I love the look of the passport wedding invitations, and the wedding stationery especially the seating chart with the drawers, and the name tags! 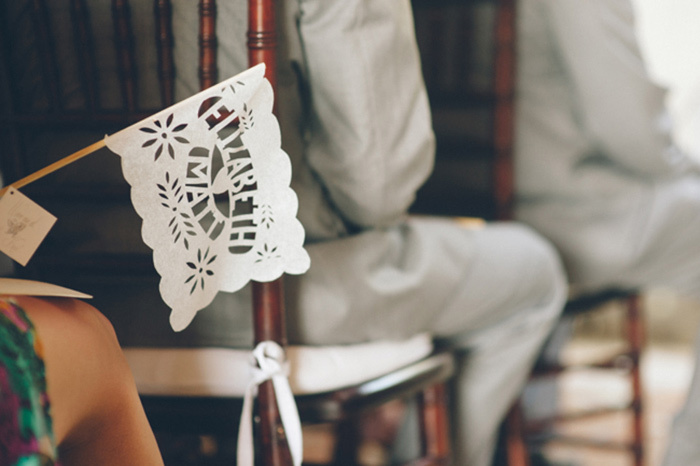 The cut out flags with the bride's and groom's name is an awesome and unique idea - I've never seen that before! 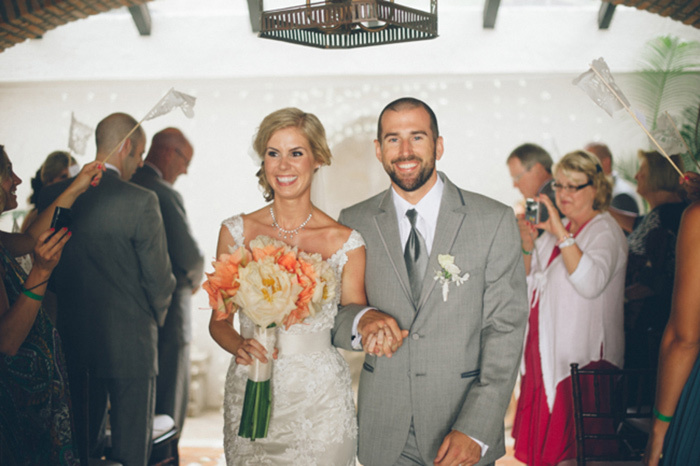 Kudos to a truly memorable wedding! Congrats! 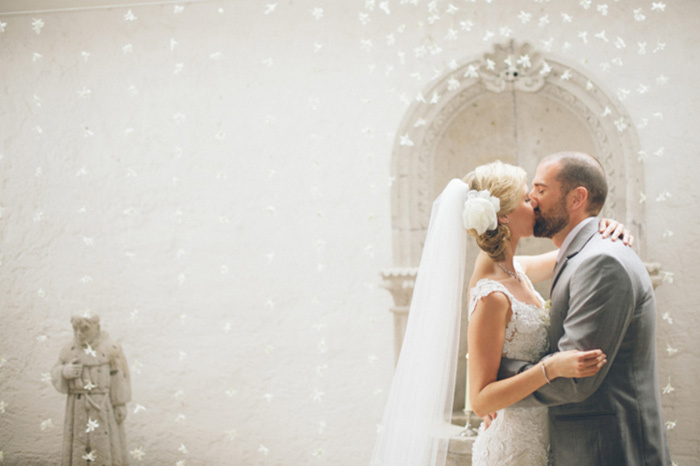 This is such an awesome wedding! Looks like it was a ton of fun for everyone! I love the details on the cake! 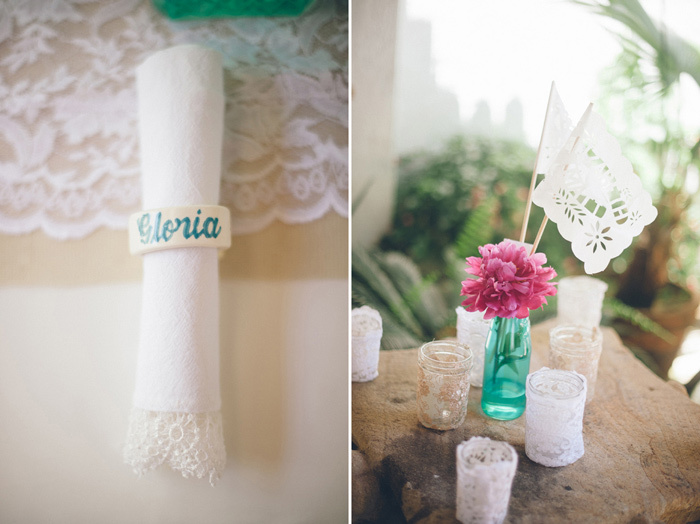 Love the colors, decor and venue! 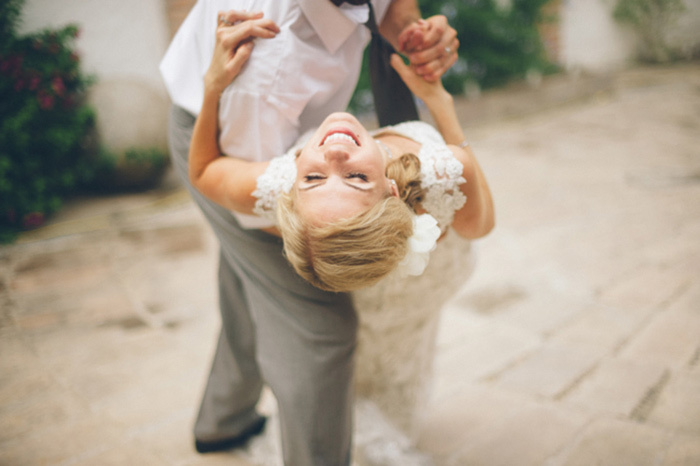 This wedding had crazy fun and it's truly a wedding fiesta! 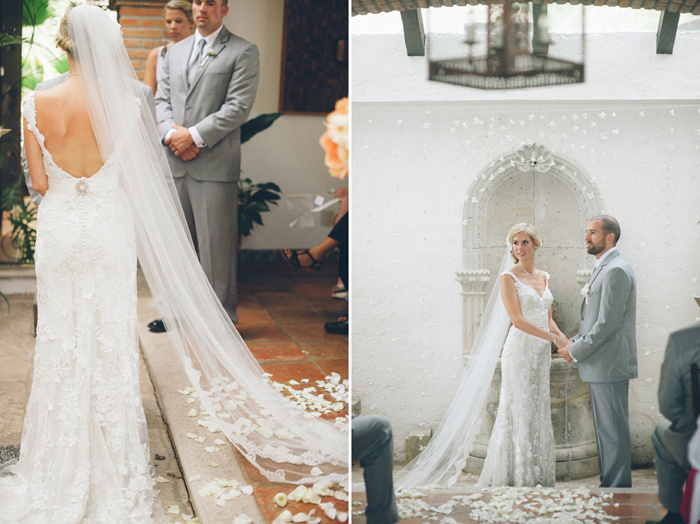 Gorgeous dress and photos! Looks like a fun wedding!! Thanks for the beautiful post! I'm so lucky to have amazing clients like Elizabeth and Matt who love what I do and want to collaborate together to make beautiful images. That combined with Mishka's design and it's a win win! LOVE this! 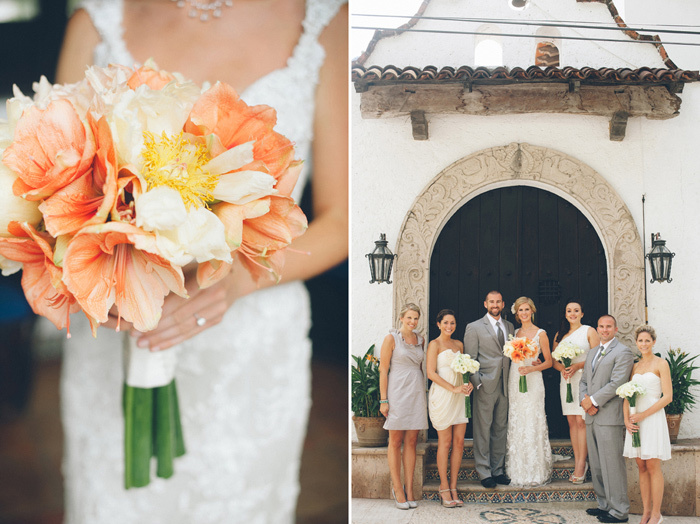 such a classy destination wedding! just the right pops of flair and culture and color. 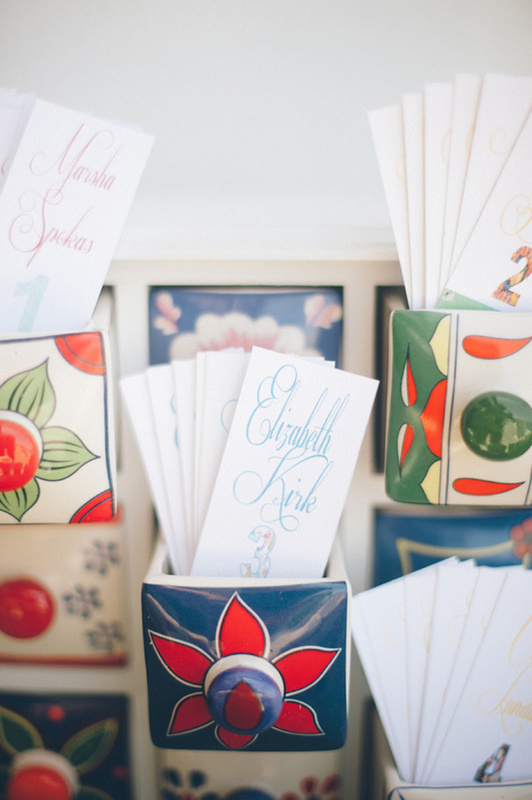 so glad to see this shared for all those brides/grooms planning a destination wedding wanting to incorporate their destination AND keep the celebration stylish. 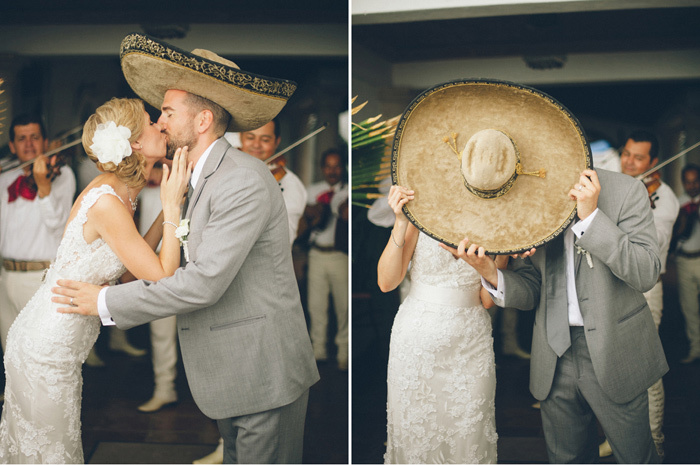 seriously one of my all-time favorite Mexico destination weddings I've seen! 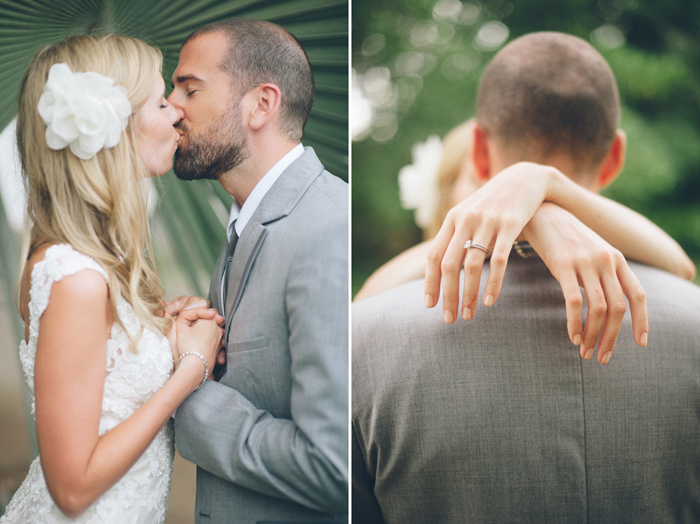 I really love everything about this wedding. All the details are gorgeous, and the color scheme is wonderful. The detailing on the cake is just lovely. It subtly reflects the Mexican location of the wedding really well. 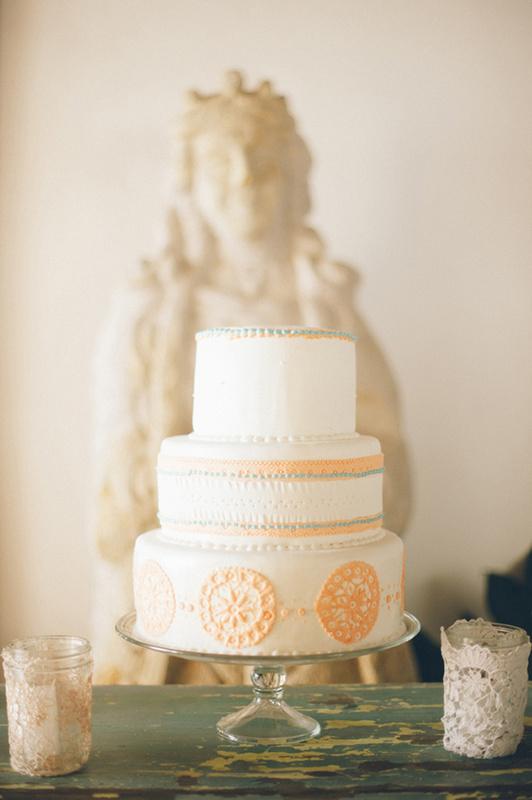 I love all the lace details in this wedding, especially the cake. Nice wedding photo . I have found Perfect Wedding Destinations in Chennai to tie a Knot . Hey Jillian Mitchell, Hi ! This is Preeti and first of all I want to congrats Elizabeth and Matt, very cute couple. Mr. Jillian your photography is very good and perfect capture. 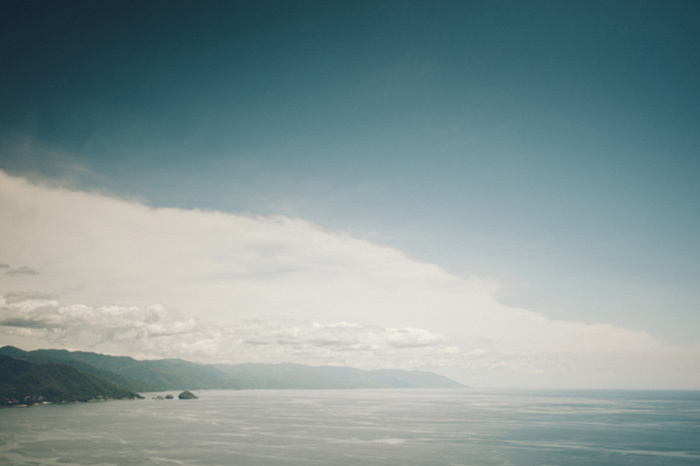 The destination wedding is romantic idea in it's own. Beautiful couple ,all are looking gorgeous , thank you for share the lovely pictures. Beautiful wedding, thank you for sharing the nice pictures. 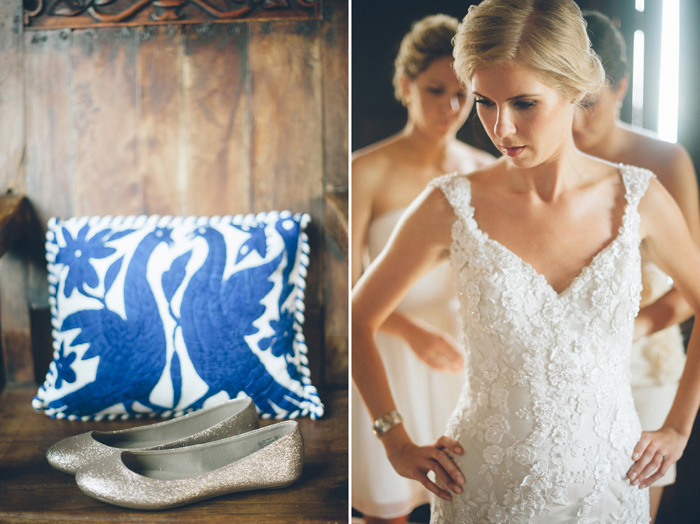 Absolutely love every bit of this wedding! 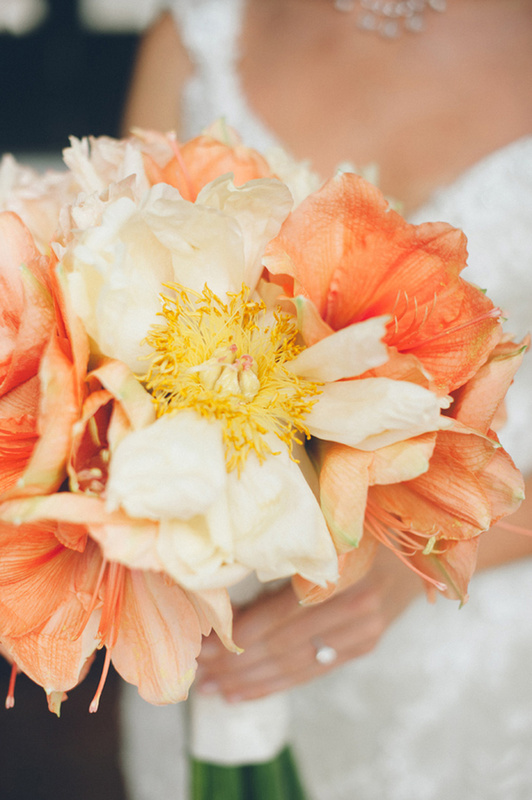 The details are just amazing, love the peachy colours of the flowers too. Thanks for sharing these lovely pictures. I like these pictures.